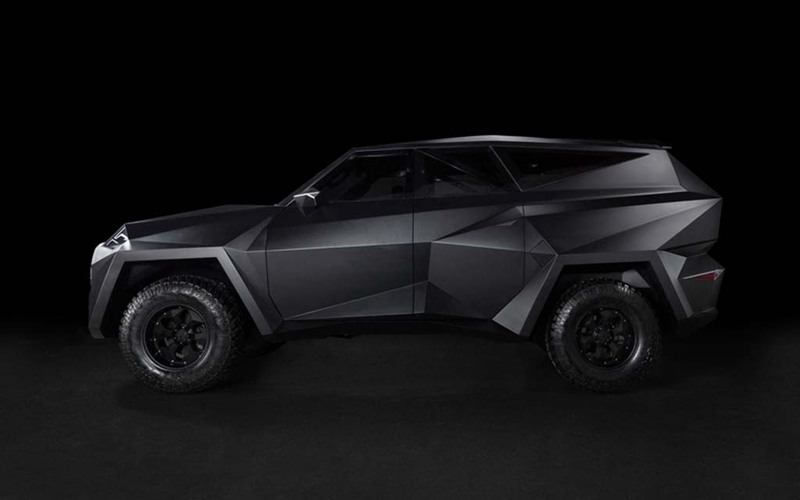 No, it has nothing to do with Bruce Wayne. 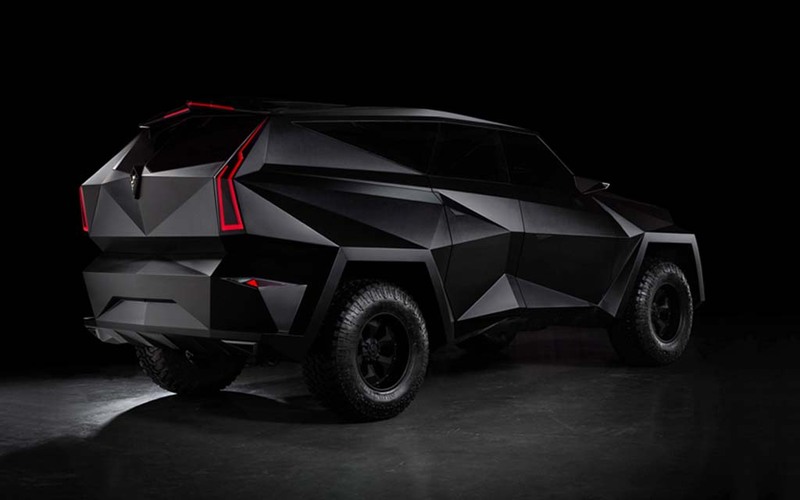 It does — and this isn’t too dissimilar, in a way — have to do with the Dubai Motor Show. 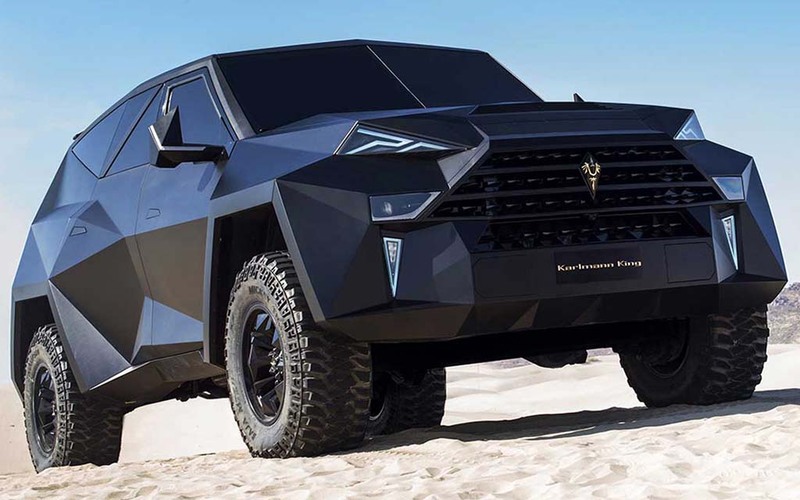 Visitors to the spectacle’s most recent edition were able to catch a glimpse of Karlmann King’s six-ton armored “survival car,” which tops out at 87 mph and can withstand extreme temps up to 194 Fahrenheit. 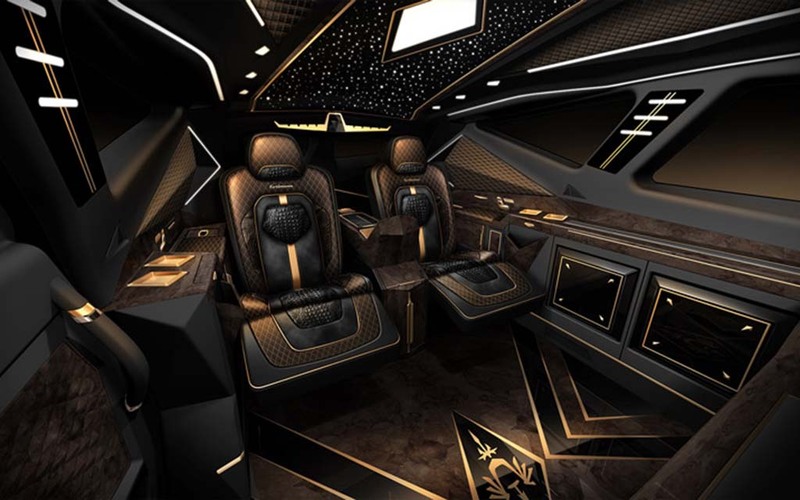 And if outside it’s a high-design tank, inside it’s an opulent limo in four dramatic color themes that takes 1,800 people around 30,000 hours to build. 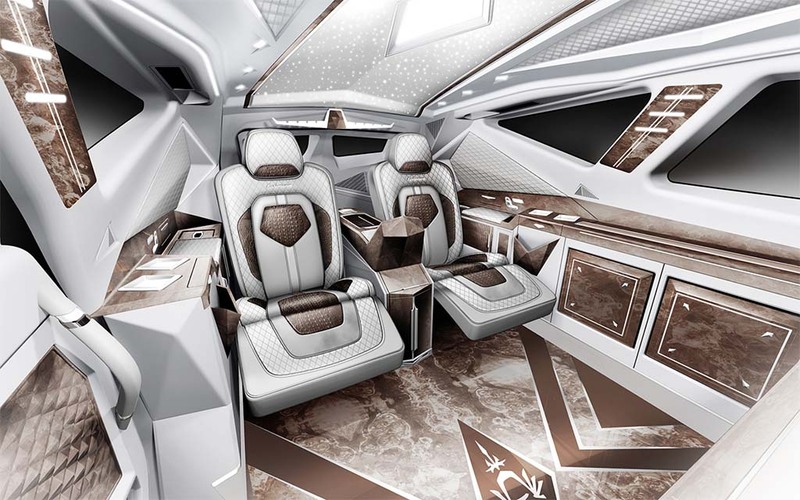 On top of cost of labor, the other amenities that somehow justify the $1.85 million sticker price: retractable widescreen TV and gaming consoles, a fridge, Nespresso and, of course, a roll-up window to separate passengers from driver. That’s one way to shut the kids up.